Domestic football powerhouses Nyasa Big Bullets and Be Forward Wanderers say they have already identified land barely two days after President Peter Mutharika’s directive that government should construct stadiums for them. During a joint press conference held in Blantyre yesterday, the two Blantyre-based TNM Super League outfits said that on Monday they had a meeting with the Malawi National Council of Sports (MNCS) board chairperson James Chuma and Blantyre City Council officials on the same. Bullets have proposed Ngumbe near Kameza Roundabout along the Zalewa Road in Blantyre as their possible stadium site while Wanderers have earmarked a piece of land close to Chichiri Secondary School. Said Bullets chief executive officer Fleetwood Haiya: “We were asked to propose possible land for the project and we feel Ngumbe is the best place for us. Now, we are just waiting for government’s approval this Friday. 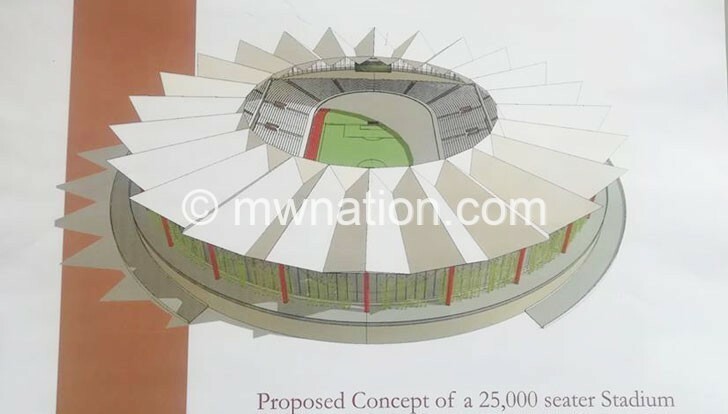 Meanwhile, Bullets have also unveiled the design of their 25 000-seater stadium, which they hope to be constructed on the land. Haiya said they already had the design and the stadium site because they were in the process of doing the same within the next five years as part of their commercialisation drive. He added that they also have plans to construct a 10 000-seater stadium at Kamba ground in Naperi, Blantyre for their reserve and youth teams. 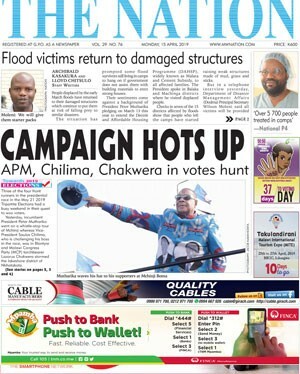 Haiya said they are waiting for the Malawi Housing Corporation (MHC) to give them a go-ahead. Butao said the directive is a big relief to Wanderers as it has removed the burden they had regarding funding for their proposed stadium project. “Since 2016, we have been organising fundraising events that raised K10 million in both cash and pledges. But after we realised that we would need a lot of money, we have been looking for possible partners both within the country and abroad,” he said. Nomads main supporters committee secretary Samuel Mponda said Wanderers are hopeful that something tangible will be visible on the stadium site in the next three months. However, Chuma refused to comment on the matter yesterday, saying he would only do so after being briefed on what transpired at the press conference.Bullets and Wanderers have existed for over 50 years but do not own stadiums let alone a basic ground.